Located in the heart of Bocage along Jefferson Highway. Nearby shopping available at Bocage Shopping Center and Towne Center. Great location, not far from Essen Lane (I-10) or Drusilla (I-12) exits. Many floorplan options to fit your needs. Within our community grounds are two large laundry rooms with vending machines, as well as eight small laundry rooms throughout the community. Our community offers paid electricity and wireless internet included in your rent. 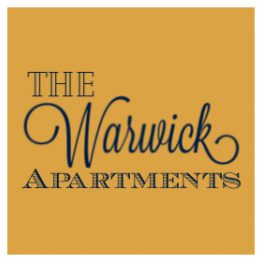 The Warwick apartment homes can accommodate fully furnished homes and washer/dryer rentals. The Warwick is convenient to schools, shopping, entertainment, excellent restaurants and major thoroughfares. If you're looking for apartments in Baton Rouge, this could be your prefect fit.